Many MMA fighters finish their combat sports career and are unsure how to spend their days, but the lucky ones have a second calling to earn a living. 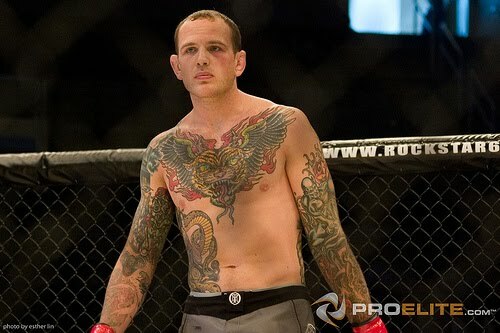 Ralph Gracie BJJ black belt and former Strikeforce fighter Luke Stewart left MMA and transitioned his time into his tattoo shop, Seventh Son Tattoo, in San Francisco, California. Stewart is primarily training in the gi, though mixes in an occasional no-gi training session. He prefers competing in the gi because there is an increase in variety of submissions and sweeps available. Don’t expect to see Stewart back in the cage as a fighter again, but he does have the desire to compete in BJJ tournaments. Even though it can be difficult to balance personal life, training, and tattoos into the same day, Stewart wouldn’t have it any other way. Seventh Son Tattoo has eight total full-time artists, with a few of the guys in the shop training in BJJ. Also, one other tattooist does BJJ and is an accomplished cyclist, indicating they enjoy tattoo and the art – but also appreciate healthy lifestyles. As Stewart hopes to become more active in BJJ, he also is happy with the direction his successful tattoo shop continues to take.